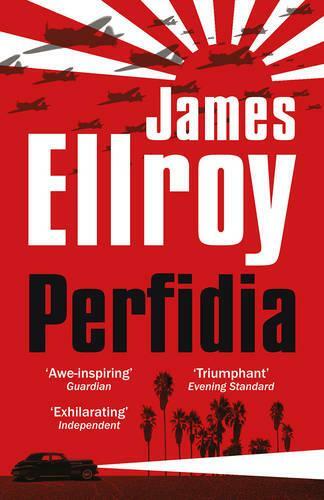 'There has never been a writer like James Ellroy.' Telegraph Los Angeles, December 6, 1941. Last hopes for peace are shattered when Japanese squadrons bomb Pearl Harbor. War fever and race hate grip the city and the internment of Japanese-Americans begins. Following the hellish murder of a Japanese family, three men and one woman are summoned. William H. Parker is a captain on the Los Angeles Police. He's superbly gifted, corrosively ambitious and consumed by dubious ideology. He is bitterly at odds with Sergeant Dudley Smith - Irish emigre, ex-IRA killer and fledgling war profiteer. Kay Lake is a 21-year-old dilettante looking for adventure. Hideo Ashida is a brilliant police chemist and the only Japanese on the payroll. Four driven souls - rivals, lovers, history's pawns - thrown into an investigation which will not only rip them apart but take America to the edge of the abyss at a crucial moment in its history. This is the first book by this author which I have attempted to read. I found the style of writing stilted and the progression of the plot jerky, to the point where I struggled to read more than a few pages at a time.